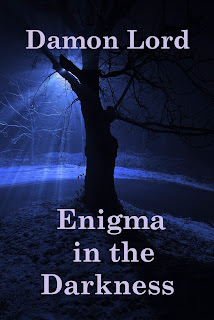 Damon Lord: Advent calendar 2013: day 19 "Enigma in the Darkness"
Advent calendar 2013: day 19 "Enigma in the Darkness"
Excuse the blatant plug, but as it's nearly Christmas, I thought I'd allow myself this one. Have you considered giving someone the gift of poetry this Christmas? How about giving them a copy of my debut poetry book "Enigma in the Darkness"? Worry no more! You'll be making the right choice in buying it as a gift, or even getting a second one, to get yourself a copy. Point your browser in the directions below if you want to obtain it!